In a landmark case, a crash-for-cash fraudster has been jailed for 18 months for a false insurance claim he made after crashing his fake supercar into his friend's hired Audi A1. Adam Islam crashed his Toyota MR2, modified to look like a Ferrari F430, into his friend's hired Audi A1 on 12 September 2014 after both were driving recklessly. Knowing the crash would void their insurance claim for the damages, Islam lied to his insurer. Islam claimed he didn't know the driver of the Audi - his friend Abu Khayer - and that he'd been rear-ended after his fake Ferrari had broken down. As the at-fault vehicle was insured by the hire company, Abu would incur no personal cost for the claim. An Accident Exchange accident statement taken from Islam states that Khayer had swerved to avoid a fox or cat, before hitting his vehicle. Khayer told his hire firm the same story. The two fraudsters then planned to split the £29,000 insurance payout. Suspicions surrounding the incident arose when Islam, who was already in a replacement hire car organised by his accomplice Abu Khayer, claimed for another hire car from a separate company. This was detected by Hill-Dickinson’s Netfoil database, the largest of its kind used to detect and prevent insurance fraud, who alerted motor fraud experts, Asset Protection Unit (APU). A search of social media revealed that the two were long-standing friends who appeared in multiple pictures together. 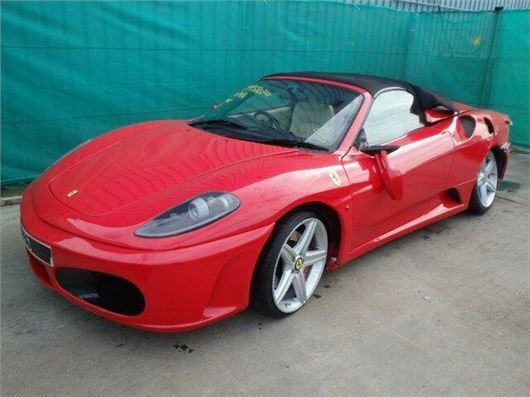 The search also prompted more suspicion of Islam, who had failed to sell his fake Ferrari online for £30,000. APU then partnered with Hill-Dickinson, a law firm, for further private investigation. This established that Khayer had hired the Audi A1 jut days before the incident occured. For his role in the scam, Khayer received a 12 month custodial sentence, suspended for two years, and was ordered to compensate his hire company, and its insurer, more than £10,000. Neil Thomas, Director of Investigative Services at APU said, "The sentence is a victory for both the insurer and motorists across the country, whose premiums are increased by these fraudsters."